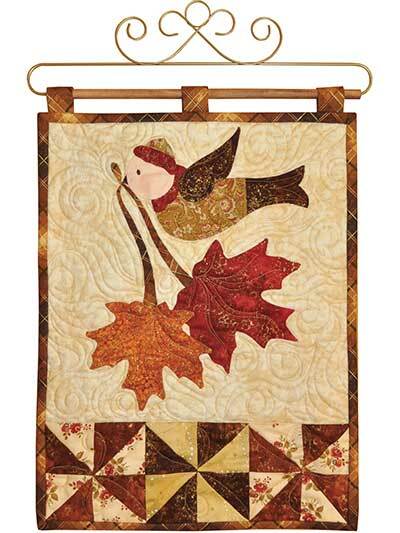 Celebrate the final days of autumn with this beautiful wall hanging! Your home decor will be complete once you deck it out with this vintage-inspired wall hanging that features vibrant leaves and a pretty bird. 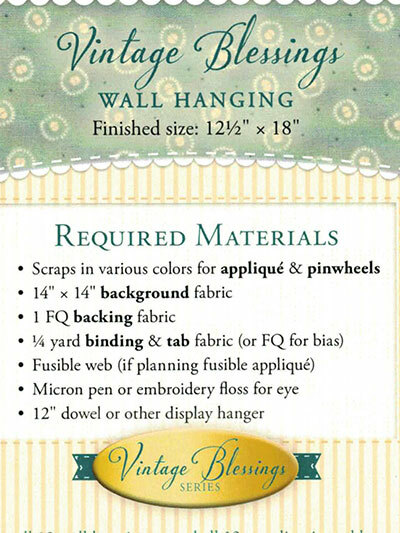 It will make a great door hanging to greet your guests, or even for giving as a housewarming present. Pattern from Shabby Fabrics. Finished size is 12" x 18".